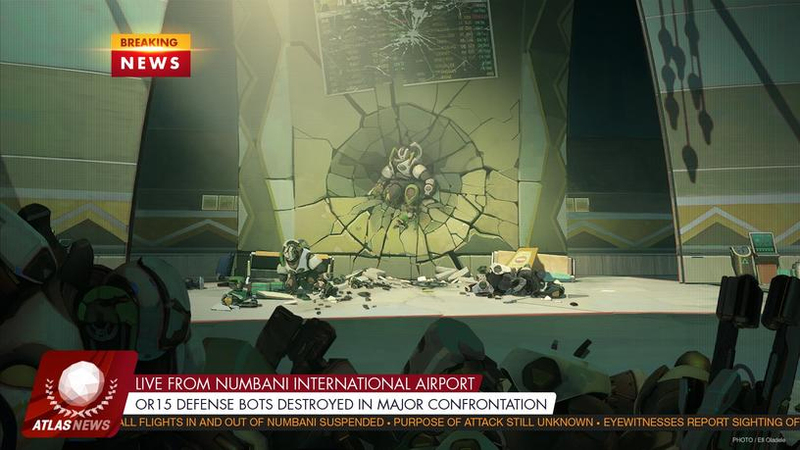 So it seems as Efi Oladele has taken pictures, and is eyewitness to an attack at the Numbani air port. It appear 3 OR15 defense bots were destroyed in a confrontation between whom we are speculating to be Doomfist, or Soundquake, but is still an unknown assailant. about all we know is that all flights in and out of the Numbani airport have been suspended. As of now there is no known reason for the attack. Here you see where the photo was taken by Efi. Are we going to get Efi as our next playable character? or is this just another twist by Blizzard to throw us off?